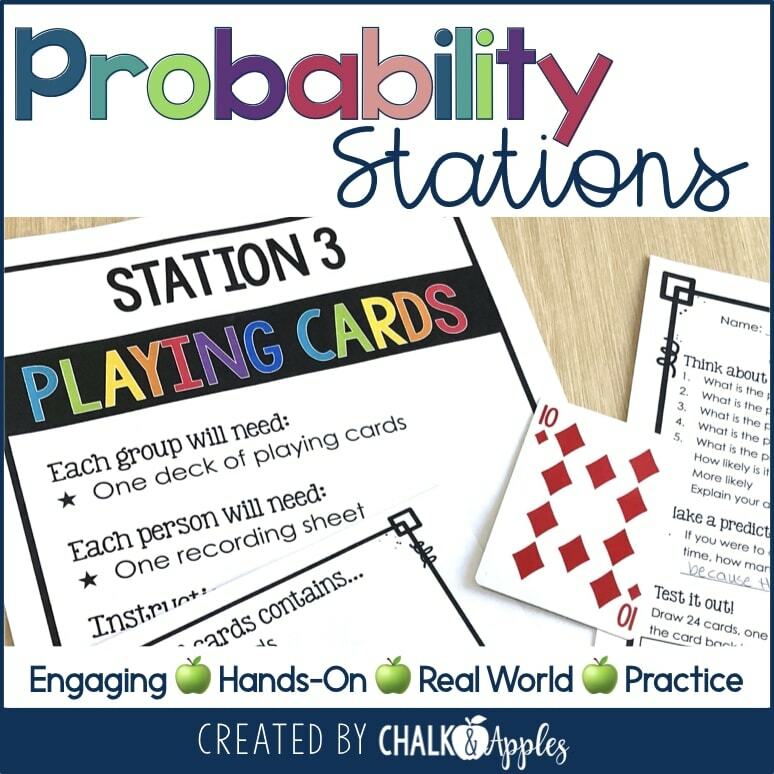 Explore probability with these engaging, hands-on probability activities! 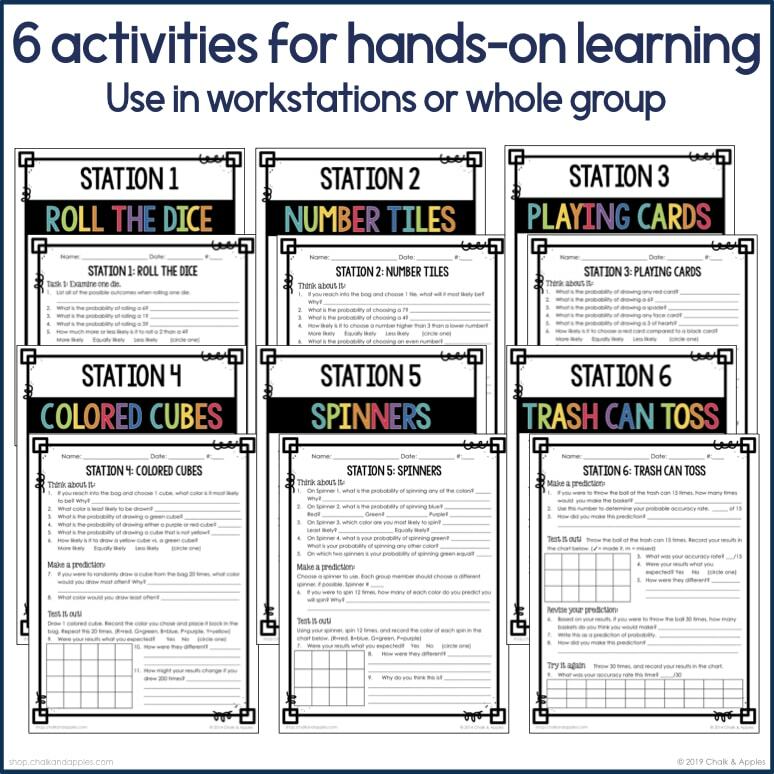 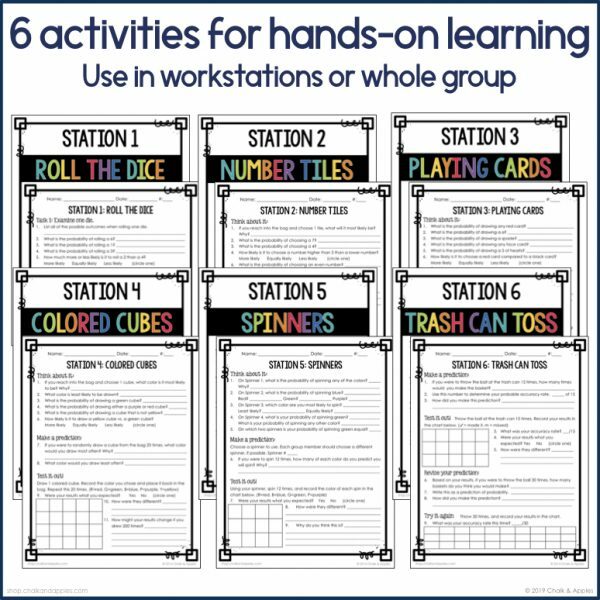 This set includes 6 low-prep probability stations perfect for practicing probability skills and critical thinking. 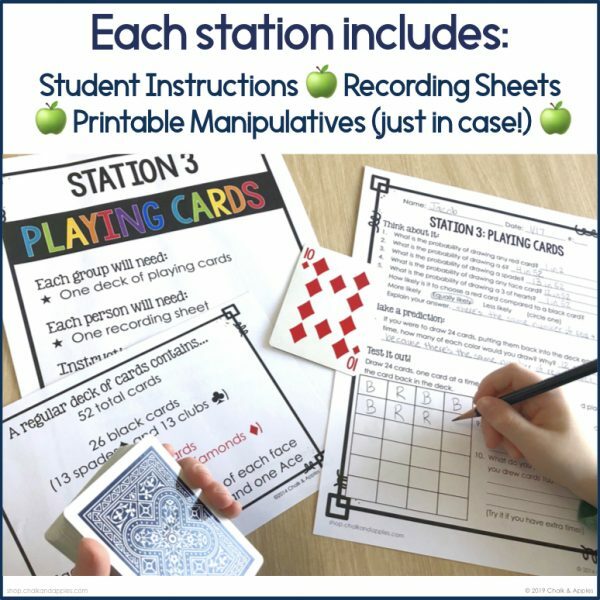 Quick and easy setup plus clear student directions make these activities perfect for centers or substitute days, too! 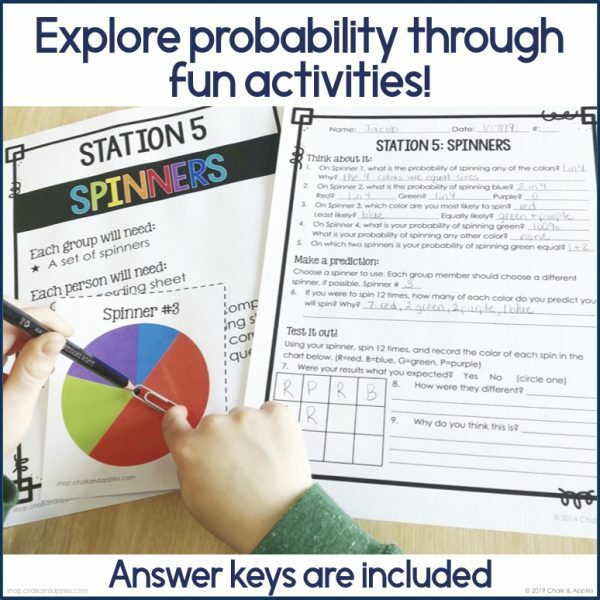 Lead your students to discover concepts of probability by exploring it on their own before teaching probability rules. 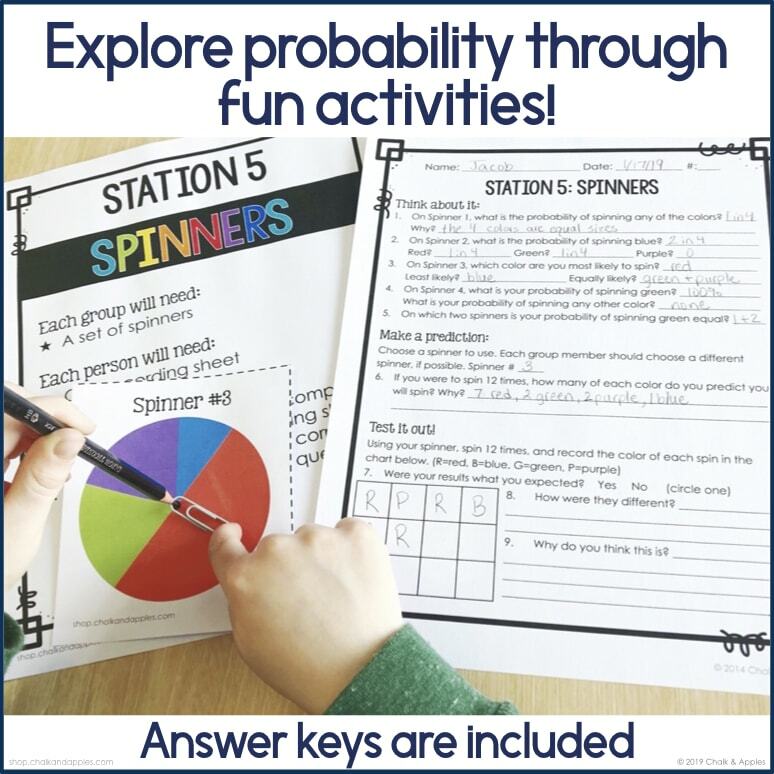 Students will love exploring probability concepts through these fun activities, and won’t even realize how much they’re learning! All of these probability activities use manipulatives and materials readily available in most classroom, but I’ve also included printable manipulatives just in case you need them.